Owl Always Be Reading: Kiersten White Has New YA & The Cover Is Perfect! 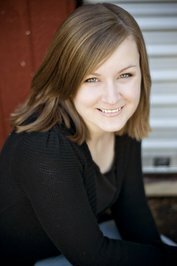 Kiersten White Has New YA & The Cover Is Perfect! Hi! I give the most awkward hugs in the world. I also write books. I'd opt for one of my books over one of my hugs. Lucky for you, I write a lot of them. The New York Times bestselling Paranormalcy trilogy (Paranormalcy, Supernaturally, and Endlessly) is available now. Mind Games and its sequel Perfect Lies are also out, staring at you from a bookshelf. Intensely. An Egyptian mythology-based standalone, The Chaos of Stars, will keep you company on cold, dark nights. And Illusions of Fate, a dreamy historical fantasy, wants to be your new boyfriend. It's a really good kisser. 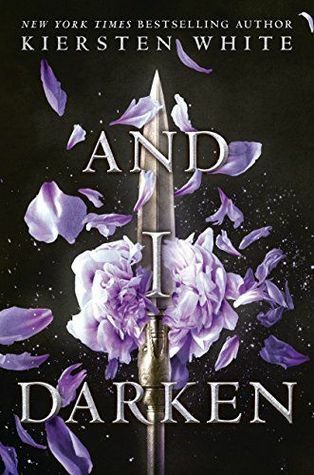 Coming soon is And I Darken, an epic historical based on a gender-swapped Vlad the Impaler. It's filled with love daggers, which are like love triangles only much sharper and way more likely to kill you. Kiersten White Talks 'And I Darken,' Book One Of Her New Must-Read YA Trilogy with BUSTLE. Check out her interview HERE! Exciting! I love Kiersten White's books! And this cover is gorgeous! But the waiting part is the WORST!! JUNE! Oh my.